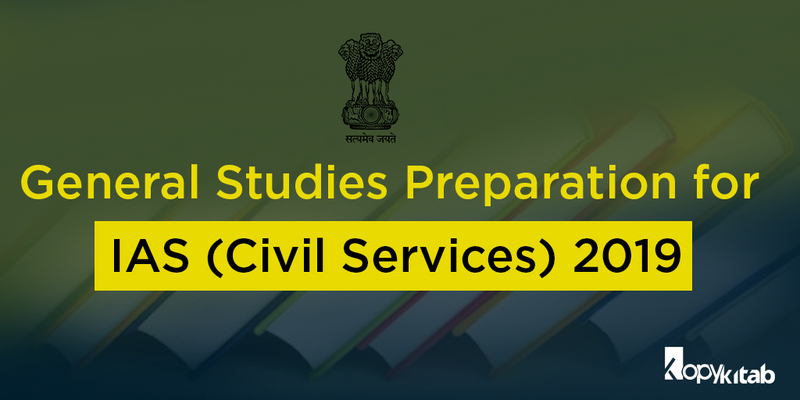 Prepare General Studies for IAS -A good grasp on current affairs and general knowledge is the very foundation on which success in the IAS selection process rests. The General Studies paper makes up for half the mark weightage in IAS prelims while four of the six papers in the IAS mains are based on general studies too. Needless to say, an in-depth knowledge of current affairs as well as general knowledge pertaining to a wide spectrum of topics, ranging from history to polity, geography, constitution, science and technology, is a must for any IAS aspirant. The history syllabus for IAS exam can be broadly divided into – Ancient Indian History, Medieval Indian History and Modern Indian History. However, as an analysis of recent year’s papers will reveal, a majority of history questions come from Modern Indian History, so that’s the area you must prioritise. However, do not leave out ancient and medieval history completely, as the UPSC is known to take the aspirants by surprise. This can be tricky subject in the General Studies syllabus, given its expansive nature and ambiguity of topics. The best way to study Art and Culture is to club it with history instead of studying it in isolation. Literature, language, religious reforms, religion, religious figures, dance forms, paintings, music, festivals, food practices are some of the key areas of Art and Culture worth focussing on for IAS preparation. The best way to prepare Geography for General Studies questions is to source your study material from the NCERT Class X, XI, XII books. Look out for reports related to Geography in the newspaper and prepare notes. Use the internet to make notes on any unfamiliar terms you come across during the course of your study. Pick up a good book on the constitution such as the Introduction to Constitution of India by DD Basu and read it from cover to cover. Refer to online sources to make sure you have all the amendments covered. You need to develop a basic understanding of the Indian economy as well as basic terms such as repo rate, GDP, SLR, CRR and so on. Newspapers are a good source for staying updated with the development in the Indian economy. In addition, you must keep the latest Economic Survey of India handy and refer to it for statistics, data and figures. Government policies and programmes feature prominently in the IAS exam, and you must, therefore, make this a focal point of your IAS preparation. Of course, any new government policy or programme gets covered in the news, so newspapers are a good start point for developing an understanding of this subject. However, newspaper reports aren’t always exhaustive in their approach, so you must supplement this knowledge with information sourced from the Indian Yearbook. This contains exhaustive information on polity, which is why you need to develop a keen eye on what’s relevant for your preparation and make short notes on key programmes announced by different government ministries. Once again, any major breakthrough in the field of science and technology gets featured in the news, so newspapers are your best bet for preparing the science and technology section for the General Studies paper both for IAS prelims and IAS mains. Your focus here should be no emerging technologies, breakthrough in medicine and Nobel prizes. Science journals are also a dependable source of information. Pick a publication with high credibility such as The Hindu, Business Standard or The Frontline. Focus on government press releases, bills introduced in the parliament, election-relation news, Supreme Court verdicts and any constitutional amendments. Any treaties, collaborations, participation in international events, major international political events are important too. Develop a clear understanding of the UPSC syllabus and refer to previous years’ question papers before you include newspaper reading in your IAS preparation process. Set aside your own interest in news stories, and focus solely on those articles and editorials that are relevant to the exam. Make crisp and clear notes as you read the paper every day. Read editorials and Op-ed pieces to understand different perspective on the same issue. Make it a habit to write letters to the editor on a daily basis, conveying your thoughts on any relevant news item of the day. Try to keep your analysis as balanced as possible. This will hone your writing skills to reflect a greater clarity of thought and come in handy when attempting essay-type questions in the exam. A fine balance between newspaper reading and studying from IAS books to create an exhaustive knowledge pool is the best way to cover as much ground in current affairs and general knowledge as possible. You need to keep at it day after day to gain a firm grasp on this vast subject matter.